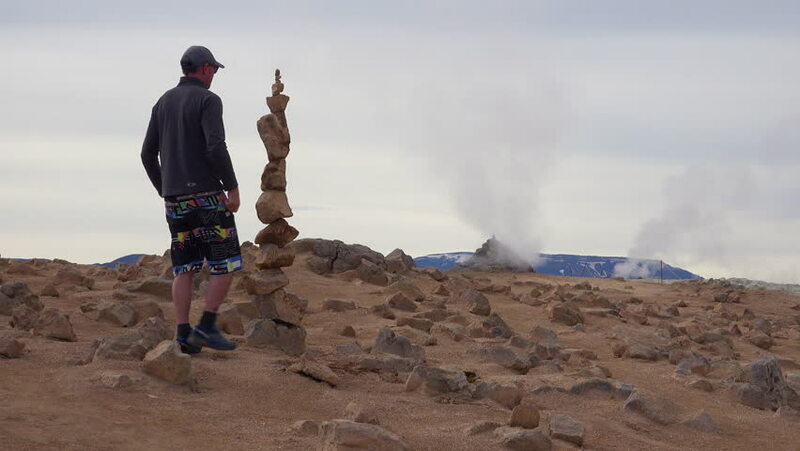 ICELAND - CIRCA 2018 - A man stacks balancing rocks stones near a geothermal area in Iceland. hd00:10The camera tilts up from a climbing partner on the ground to reveal a rock climber high on a rock wall. sd00:11Tourists are going uphill along a slope. hd00:15MOUNT SAVALAN, IRAN - SEPTEMBER 28: Mountaineers climbing at Mount Savalan summit on September 28, 2017 in Savalan, Iran. Savalan is the third highest mountain in Iran.